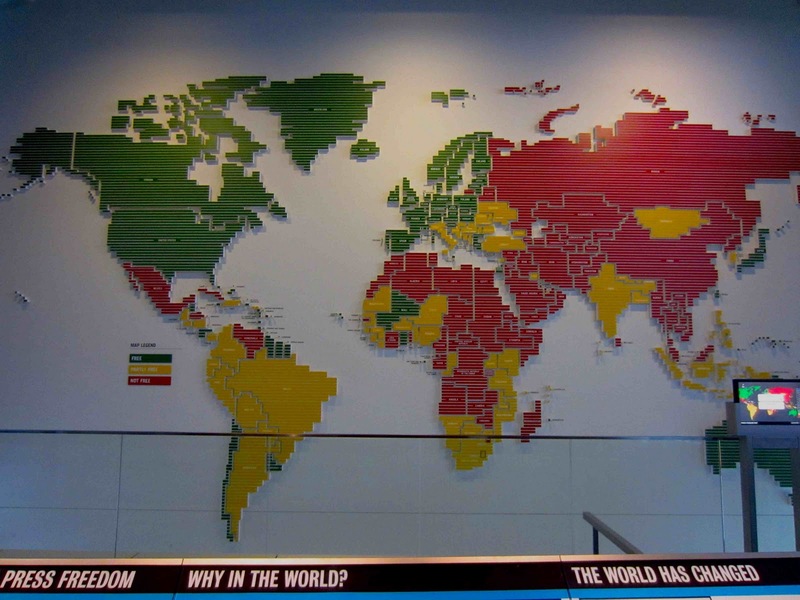 Milon in Washington DC: The Newseum is THE museum. 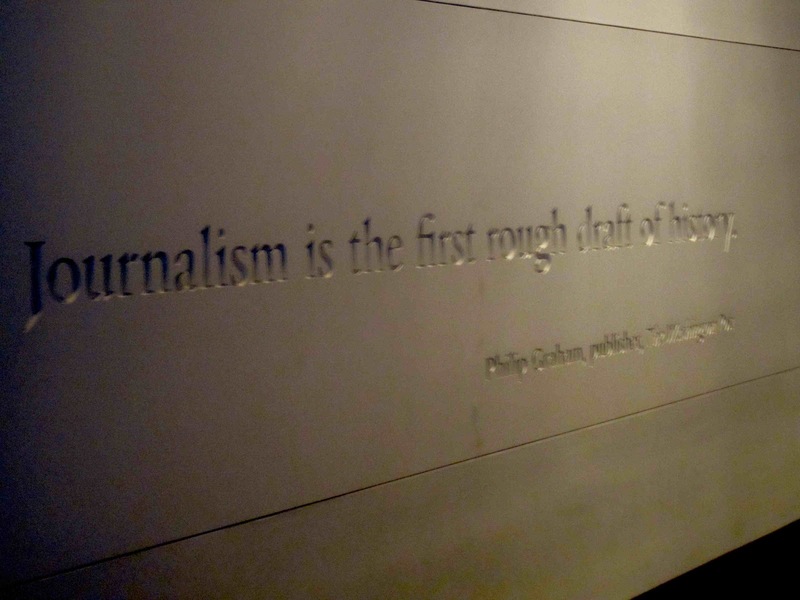 The Newseum is THE museum. 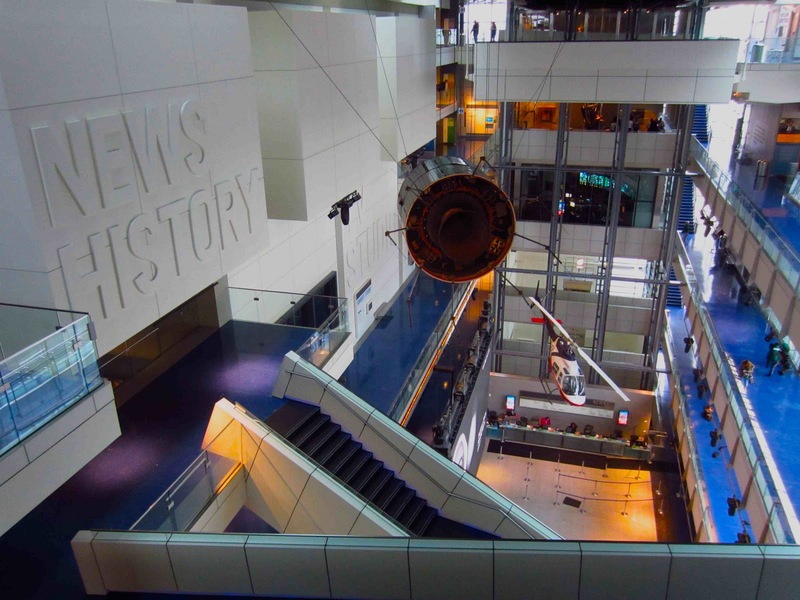 If you are a museum liking tourist in Washington DC, you are at the absolute right spot. Here you can find the world's largest museum complex, the Smithsonian Institution, with all the museums you could ever want to visit. Almost. Most of them for free too, something very appreciated by a young woman living off a student budget. If you are willing to pay to enter a museum, which I strongly believe you should be, the Newseum is highly recommended by your blogger. 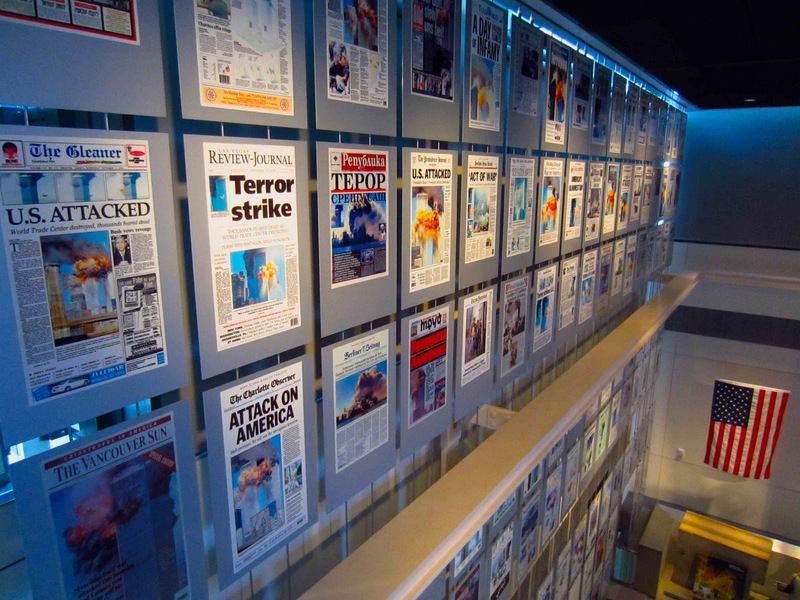 As it sounds, the Newseum is a museum about the news – and so much more! Okay, she is a journalism and public relations student and a news junkie, but this is interesting for everyone. "Journalism is the first rough draft of history," is written on one of the walls of the museum, and think about it: isn't it so? The building, I believe, conveys a message in itself. It's clear, open and transparent. Kind of how we expect the news to be delivered to us, right? The six story building guides you through a long, informative and interactive journey. I am very convinced there is something for everyone. We are all part of world history and the news, aren't we? Head off to Pennsylvania Avenue and dig in to the wonderful land of News History. Your blogger will do so again first thing tomorrow morning. There was simply so much to see – and one ticket is valid for two days. Who? What? When? Where? Why? Everybody – just enjoy! Freedom of Speech all over the world? According to this map, not quite.